Franz Liebkind: Chief pigeon wrangler and playwright. 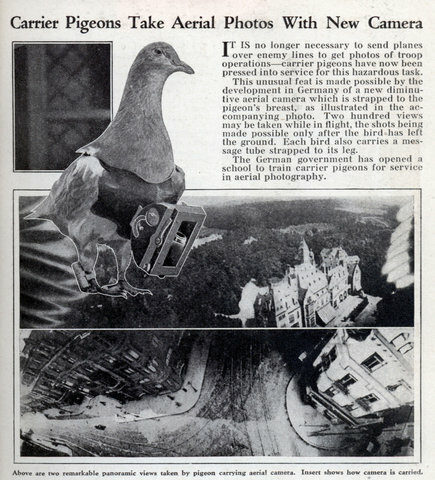 I’ve read of these pigeons taking photographs in 1903 for military purposes (Bavarian Pigeon Corps), as planes were not flying yet (the first flight was also in 1903). So I’m surprised about this news from 1932!!! because it wasn’t new any more.